Are your photos damaged or dull with age? Are they torn, faded or have parts missing from them? Are your pictures filled with blotches or spots caused by bacteria or mold? Are your photos in need of retouching and restoration? Photo restoration can be described as the practice of restoring a photograph which has been damaged or affected by age. Our Photo Restoration Services provide you with a wide range of services that can restore your old and damaged pictures and reconstruct it to according to your choice. Also by choosing our Digital Photo Restoration and Best Photo Restoration Services all unwanted color casts are erased and the contrast of the image is changed in order to complete image restoration. 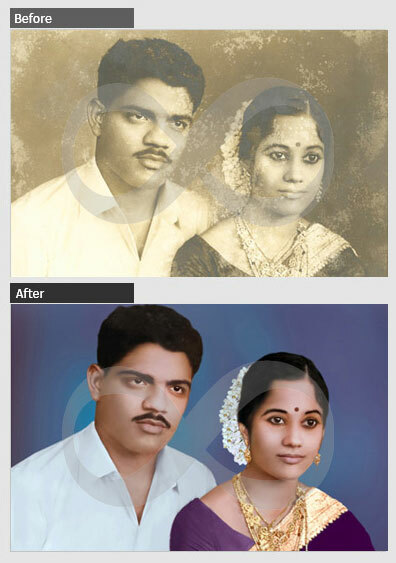 Outsource to India to get the best in professional and competent Photo Restoration Services! 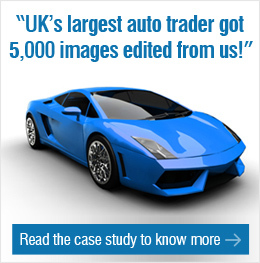 We can process large number of images in a quick turnaround time. Your pictures are worked on by designers who are dedicated full-time employees, certified in Photoshop CS, KPT, Creative Suite 6 Premium, Eye Candy 3.01 and Chromatica. You get a full-time person committed to your project. Our technical experts working on your image restoration are well qualified in black and white to color, color to black and white, sepia tone conversions, digital hand coloring, color adjustments, balancing, tones, tints, matching and sequencing. Selective tints, new color schemes, modernization, duo tones, tri-tones and four colors are used to bring out the best in digital photo restoration. Contrast themes, color ageing, re-sequence to formal colors, re-sequence to casual colors, and glossy to matte finish or vice versa are used in the production of best photo restoration. Correction of color shifts and more are made use of in picture restoration services. Apart from offering old picture restoration and antique photo restoration we work with TIFF, JPEG, PSD, GIF, PNG, PGF, RAW, raw digital files and other major image formats. We also convert images and files from one format to any other format of your choice. Outsourcing to India will give you the advantage of having the most skilled and experienced technicians working on your image!